The Institute Of Contemporary Music Performance has launched a new Masters Degree course for musicians, covering guitar, bass, drums or vocals. 'We are delighted to be launching this new Masters course for the contemporary musician, which we believe will quickly become recognised as one of the leading courses in its field," said Dr Gareth Dylan Smith, Programme Leader on the Institute's Masters course. "With a teaching faculty composed of such luminaries as Professor Richard Smith from the world-renowned Thornton School of Music, Audrey Riley, with twenty-five years of experience in the rock industry and Laurence Cottle, a world-renowned bassist, students on this course will have access to a unique range of knowledge, experience and talent. "And since it is delivered in London, at the heart of the global music industry, I believe that there is no better place to continue building a music career at the highest levels." The Institute of Contemporary Music Performance has announced the launch of a new Masters Degree (MMus) for students of guitar, bass, drums or vocals. The course is designed to enable contemporary musicians who have excelled at undergraduate level (or who are demonstrably of this standard) to fully explore and develop their own unique, expressive and creative voices. 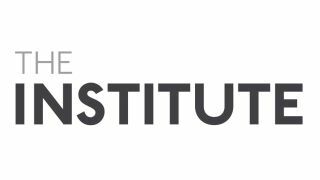 The Institute Masters has been designed and built using the same wealth of experience that over twenty-five years has ensured the Institute has been consistently recognised as one of the world's leading providers of contemporary music education. Students will have the opportunity for both individual lessons and project-based study with a wide range of internationally acclaimed musicians, academics, educators and practitioners. And the course will be delivered at the Institute's specialist facilities in London, UK. Successful completion of the Institute Masters degree will position graduates for high level employment and/or progression to national/international PhD or DMA programmes. However, there are a limited number of places available annually and demand for entrance to this course is expected to be high. With a teaching faculty composed of such luminaries as Professor Richard Smith from the world-renowned Thornton School of Music, Audrey Riley, with twenty-five years of experience in the rock industry and Laurence Cottle, a world-renowned bassist, students on this course will have access to a unique range of knowledge, experience and talent.